Please join me in welcoming Robin, from The Thrifty Peach to the Frugal Rules team! The name Dave Ramsey means a lot of different things to people, but I’ve noticed a trend lately. The man doesn’t seem to get any love or respect in the personal finance blogosphere. For whatever reason, people love to hate him. But me? I’ve got nothing but respect for the guy. Whether you want to admit it or not, he has done something very right, and that’s probably part of the reason that he gets so much hate. Clearly he’s good at what he does or he wouldn’t be so successful with his financial classes, radio show, and book deals. Here’s why I think he’s so misunderstood. If you ever read any of his books, you will find that he is very simple. He writes simply, and his books are easily digestible and quick to read. When he speaks on his radio show, he is very much the same way, and that’s because he needs to be simple. His method is for people who are just starting to learn how to budget and invest, and there’s nothing wrong with that because everyone has to start somewhere. There are very few people in this world who are born knowing how to handle their money well, and his method is a great place to start that journey of becoming financially literate. I would commend anyone who is trying to better their financial situation, and I’d point them in his direction in a heartbeat. If you haven’t heard of it by now, Dave Ramsey’s snowball method is to start paying off your debts with the smallest balance first, so that once it is paid off quickly, you can apply that payment to the next debt and so on to create a fast snowball of debt payoff. Some people don’t like it because it doesn’t factor in the interest rate of the debts, just the balances, meaning you may pay more in interest over the long run. So no, the debt snowball doesn’t work for everyone, but it’s not supposed to. Everyone has a different financial situation, and that’s why it’s not going to work for everyone. However, it clearly does work for a lot of people or he wouldn’t be so successful. The snowball method is simply Dave’s way of creating motivation in his followers to get them excited about attacking debt. If that’s what it takes to get someone out of their debt, then I say go for it! In his books, he often quotes an average investment return of 12 percentage. An average. Yes, that is a pretty high number, but it’s not really the point. The examples he uses are just that– examples. He typically uses 12 percent to show the beauty of compounding interest and what it can do for your finances. They don’t call it a magical unicorn for nothing. If you ever catch his radio show, listen for just five minutes and he’ll probably have you laughing. He speaks like Dr. Phil– loud, southern, and very bossy-– and when people call into his show to talk about their money problems, he doesn’t coddle anyone, he just tells it like it is. Normally it’s something along the lines of, “You’re spending all of your money on a car payment! SELL THE CAR, MAN!” He does talk to some people like they are idiots (and that’s because some of them are), and it’s highly entertaining. As a listener, it’s easy to judge the callers until we consider our own financial mistakes. (I’d be too chicken to call in myself!) Dave is right about a lot of things, and he doesn’t try to hide it. One of my favorite things about Dave Ramsey is that he has never tried to hide the fact that he filed two bankruptcies in his life. He has been in deep, soul crushing debt. He has faced foreclosure. He has charged up his credit cards before. He has been there. Think about this– would you really want to take financial advice from someone who hasn’t been there to know what it feels like? He’s trying to show people that you can rise above debt and get ahead in your life no matter how far behind you think you are. It’s never too late to make financial changes. So let’s ease up on all the Dave hate, my friends. Let’s celebrate anyone who works to get their finances under control, even if they have to get embarrassed on a radio show to get started. And if nothing else, just try to appreciate it as really good entertainment. 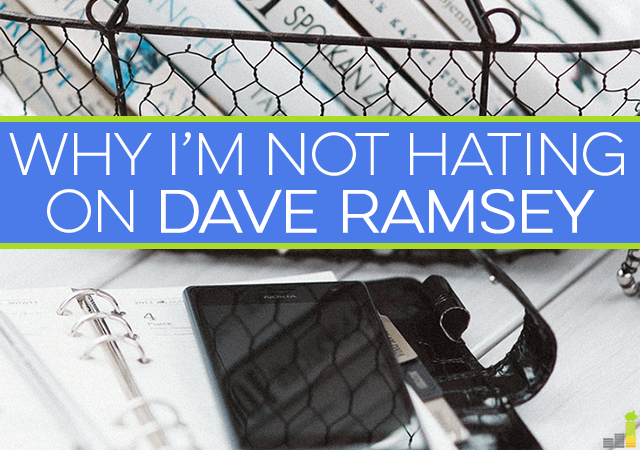 Do you hate Dave Ramsey or appreciate him for what he is? What are your thoughts on the ‘Debt Snowball’ method? Have you tried it, or what do you think is the best way to pay off debt? I didn’t know hating on Dave Ramsey was such a thing. I would say that between him and Suze Orman, my entire financial foundation was built. I really like Dave and his work! I’ve read several posts from people who dislike him, and I was surprised to see how many people, personal finance bloggers especially, don’t like him! I share your sentiment! Less than a year ago my credit score was low 500’s and 5 credit cards in default. Today I paid off my car, no credit card debt, and bought a new house…. which is my only debt. Thank you Dave Ramsey and Suze Orman! I think the key to financial awareness is exactly that; becoming aware of your financial situation, and someone teaching you to recognize how you got there, and how to clean up the mess. I’ve always been a little mystified by the Dave hating too. His books aren’t my favorite PF books to read- you are right, they are pretty simple- but he still has good advice. And he has GREAT quotes. I still sometimes pick up his book when I’m looking for a quote or just a dose of inspiration. I do the same thing if I’m in a funk– pick up his book from the library to read certain sections again. It works! My net worth went from being negative to growing quite a bit because of the Dave Ramsey baby steps. We have followed his course and have been able to pay off over $27,000 and save an additional $15,000 because of how he teaches. The biggest takeaway for me was the focus on doing one thing at a time with great intensity and not trying to do everything at once! My wife and I love his content, I listen to the shows all the time, and we are facilitators for his FPU and Legay Journey class as well. A lot of people that don’t like Dave aren’t willing to roll up their sleeves and do the hard work of taking the second job or cutting expenses back to reality. Thanks for writing this! That’s awesome that you’ve been able to save so much, Steven! Thanks. It’s amazing what you can do when you focus on one thing at a time like just paying off debt or building an emergency fund. It’s much easier to hate and make excuses about why something won’t work than to dig in and really take a look at yourself. Lots of struggling people also like to hate those who are successful. If someone famous loses weight, it must be because they have a trainer and chef, etc, not because they worked hard. I don’t hate Dave or any of the financial gurus. That doesn’t mean I’d take every thing they have to say as gospel, but you can find lots of inspiration and ideas there. My whole get out of debt journey really began by watching Suze Orman give someone a smackdown. She would have done the same to me if I’d been the caller! I agree with you– I may not 100% agree with everything he has to say, but I still like the guy for what he is. He’s the main reason we got out of debt! We used his snowball method exactly as he stated. We even did our debt free scream on his show. Nothing is persona finance is one size fits all, that why they call it “personal” finance. I love hearing people do the debt free scream. I’d love to do it myself when I pay off my mortgage. I have a few friends who have gotten out of some serious debt from his Financial Peace program. What’s not to like about that? Exactly! He helps a lot of people, so the guy deserves some respect. I think his advice is perfect for anyone trying to pay off debt or figure out their finances for the first time. Once they learn the basic principles from him, however, they can craft their own financial philosophies. Most of what he says is good advice for the average family, even if it won’t work for everyone. I agree, Holly. He offers a great starting point for a lot of people. D.R. has all my respect. He really helps people. My family and friends are following his steps and it has really shun light on our financial planning. Like it was stated in previous post, those who are not willing to commit and sacrifice are normally the haters. That’s great! I’m glad you guys are all on the road to a great financial future. I don’t get the dislike for him as well. While I don’t follow his investing advice due to his unrealistic percentage return on saving, and he ONLY advocates mutual funds without considering other options out there, I like his advice on debt reduction. Much like dieters, too many people simply don’t want to do the hard work it takes to get out of debt. They don’t like to hear what they are doing wrong and that he doesn’t accept excuses for failure. I like his advice on debt reduction, too. It really creates a lot of momentum for people to get out from under it. Ha I love Dave Ramsey. I listen to his podcast all the time. I love his attitude for sure. I don’t agree with everything he says but the basics are definitely there. I don’t agree with everything he says either, but I love to hear his shows. I think the bashing comes from Blogging 101 – How to Drive More Traffic: Hate on someone with loyal fanbase. I personally love Dave Ramsey. His message is consistent prioritizes behavior over anything else. What you have to remember about people like Dave Ramsey and Suze Orman is that they’re speaking to the masses. A lot of the people they are trying to teach are people who have ZERO personal finance knowledge. No idea how to use a credit card, no understanding of debt, etc. So I don’t hate on them for that reason. There advice isn’t good for me, but doesn’t mean it doesn’t help a lot of people. You’re right. His method speaks to a lot of people, just not everyone and for every situation. I am not a particular fan of Dave Ramsey, but I am a fan of anyone who can motivate people to make financial changes in their lives for the better. I may not always agree with what he says or his approach, but you can’t deny the change he has inspired in many people’s lives. That’s what I like about him– that he inspires so much change in people’s financial lives. I was glad to see you post this. There definitely is a lot of hate out there towards him. Maybe it’s to do partially with his faith, but I’d say it partially has something to do with his stance on credit cards. People like to think they are smart and regimented on paying their cards off each month. Over the last few years the percentage of people who pay it off has increased, going from 56% to 66% from 2009 to 2014 (http://www.creditcards.com/credit-card-news/credit-card-debt-statistics-1276.php). Perhaps Ramsey’s 24+ years of spouting his opinion has had something to do with that too? But, that’s still 34% of people who self reported carrying balances month to month, I wonder how many don’t believe that doing it once or twice a year counts depending on how that survey question was asked. After all, credit card debt does still carry at least some amount of negative stigma with it. We all still know it’s bad and not everyone is good at admitting to themselves. I think one of the greatest points he makes (which he doesn’t mention too often on the radio show) is that when you eliminate credit as an option, you are forced to change the way you think, you’ve taken away a safety net. You evaluate risk differently, you make different decisions, and when things in life turn bad… there’s no chance you’re taking the easy road and going into debt to fix it… you find a different solution. You’re right in noting the fact that he’s been in the trenches before and has made some serious good of it! At the end of the day one may not agree with everything but it’s hard to argue that he’s definitely done some good for people’s finances! Dave Ramsey is the man. I don’t think someone could criticize him anymore than you could any other finance guru out there. He has to keep it simple based on his wide audience. He’s not teaching a bunch of econ of finance majors. I don’t necessarily agree with everything of his. But he is big on communicating as spouses for spending. My husband and I took his class and it helped our marriage because it put us on the same page. And I think for people who don’t where to start he offers a simple starting point. Communication on finances is huge in a marriage! While I don’t agree with everything that Dave teaches, I think that he does have some solid principles. We used his Debt Snowball method and were able to pay off $52k in debt in 18 months. Although it doesn’t work for everyone, it definitely worked for us! $52,000 is an awesome accomplishment. I’m actually a fan on Dave Ramsey. I’m currently doing the debt snowball method. For me its working pretty food so far. I also think a lot of people hate on him for having an absolutely massive house. It’s pretty unreal when you hear the details of it. I think a lot of the criticism comes from those in the church. They have a point sometimes imo because he seems to have a monopoly on “free church promotion” when it comes to personal finance courses. He does have a huge house, but last I heard about it, it was paid for. It’s not what I would choose, even if I had his kind of money, but if that’s what he wants to do with his millions, I guess the choice is his. Dave Ramsey and his wife host several big charity events at their house every year. He says that was taken into consideration when designing it. Having that big house and using it that way is one way he gives back to his community. Hundreds of thousands of $ have been raised at those events. I can vouche and say that Dave Ramsey’s plan worked for us. We paid off $70,000 in less than 3 years. His advice is very simple. I agree that some of the numbers may be inflated, but it’s more about principle than anything. He says it himself “It’s your grandma’s advice”. Also, I do like how he tells it like it is. He’s very real with people when he’s talking to them on his radio show. One of the things I like about Dave Ramsey is he always tells people who owe back taxes to pay that debt before any others. No matter what debt is smallest the IRS comes first in the debt snowball. The debt snowball worked for me. My wife and I paid off over $75K in debt over the course of a few years by following his advice. 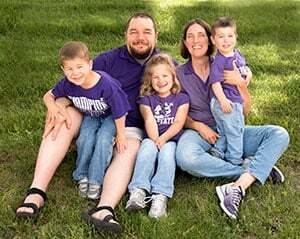 We were in a desperate financial situation where we could barely pay our bills on my income, my wife was having health issues and couldn’t work, and we had a baby on the way. Dave talks about “gazelle intensity” where you’re trying to escape debt like a gazelle who is running from a cheetah. Because of Dave, I was that gazelle. I went to garage sales pretty much every weekend for a few years to buy stuff and flip it on ebay. I woke up before work every day and spent at least an hour working on my ebay listings. It’s the best financial advice I’ve ever received. Life on the other side of debt is worth it all! Mr. Ramsey has done a lot of good in his time – and (with Larry Burkett) has almost singlehandedly helped millions of folks wake up to their debt problems and challenge them to make changes they probably wouldn’t have made. He’s been great for our society and I personally owe a lot to his teachings. 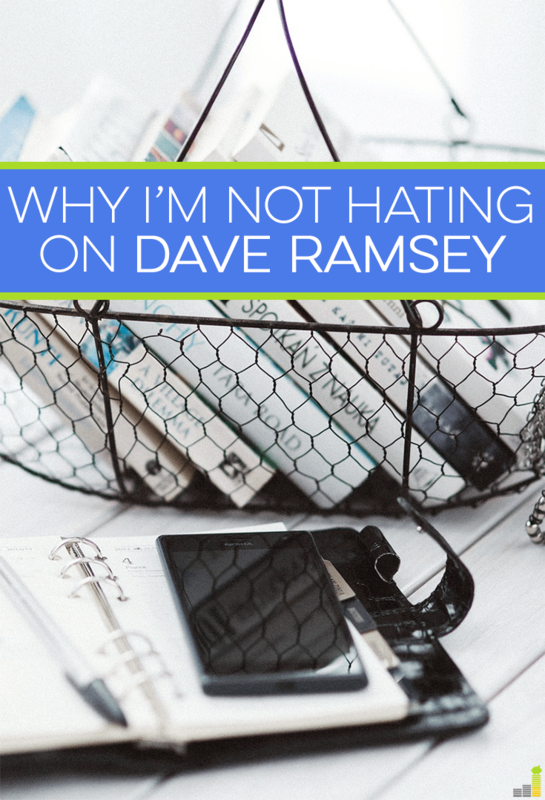 I heard a lot of negative things about Dave Ramsey. Then I read Total Money Makeover which I loved. It is filled with commonsensical advice. I wasn’t aware of the “hate Ramsey” thing. I’ve seen it here and there, but I didn’t know it was a trend. You are right in saying that Ramsey’s mission is to help beginners. I’m one such beginner, and by following Ramsey’s plan for 3 years, last month my husband and I became debt-free (except for the mortgage). $21,000 in consumer debt and $81,000 in business debt GONE (not to mention the $27,000 in mortgage debt we’ve paid off in that time through regular payments). The snowball worked for us – but smallest-to-biggest debts also happened to coincide with highest-to-lowest interest rates. In a society of normalized debt and large numbers of heads in the the sand (mine was one of them), it’s not easy to get people on the right track. Simple and loud works. I don’t really mind the 12% he uses. Whether it’s accurate or not, the point for me is that we’re actually investing! Whatever percentage gains we make, it will be a whole lot more than 0% – which is pretty close to what we would be earning if we hadn’t followed Ramsey’s steps. Savings and mortgage attack. That’s where we’re headed now! Dave Ramsey needs to develop a “thick skin”. Anyone in his position will be unfairly chastised. The way he has responded to some critics has been very shameful. Check him out on twitter when one of those articles comes out. He sends out and extremely defensive tweet and blocks everyone that disagrees. I binge-read 4 or 5 DR books when I started on my debt repayment journey, and by the 3rd, I realized that they all basically say the same thing. So, I think it’s a little shady that he keeps pumping out books with virtually the same message. I do respect him for what he’s accomplished and for how many people he’s helped, but I find his arrogance and my-way-or-the-highway approach very off-putting. Good to see you on FR Robin! I totally get what you are saying in this post. I started my PF learning with Dave Ramsey. I don’t believe everything he says and he is pretty simple, but like you said, it’s good for beginners. Nice article! I agree. Dave’s advice is not for everyone. Not everyone, dare I say… most people don’t have a good grip on what it takes to be financially sound. People like simple and easy steps that they can actually understand and complete. 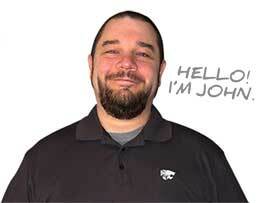 We shout him out in our blog, but we don’t follow his steps as outlined. The principles are the same, though. Get out of debt, and save and invest money. That’s working well for us. I am a Dave Ramsey fan because he has helped millions of people slay their debt and take control of their lives. I don’t listen to him much on the radio anymore, but when I do, I still love hearing people shout “WE’RE DEBT FREE!” I never tire of hearing people reclaiming their freedom; it fires me up! On the other hand, I wish Dave would teach his devoted followers about the negative impact that fees have on their investment returns. That said, I believe Dave is a force for good in the personal finance world.